Luckily there aren’t any restrictions in place for foreigners when buying a property in the Netherlands. However, you will need to know how the Dutch housing market works before you dive in and purchase your own home. 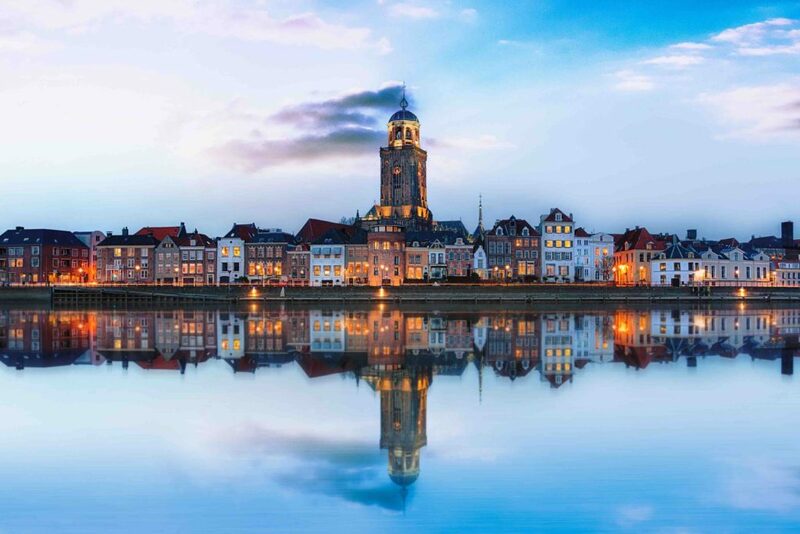 Here are some quick tips for navigating the Dutch property market. You can take out a mortgage either directly from a bank in the Netherlands, or through an intermediary such a mortgage broker. Both will charge you approximately €2,000 – €3,000. Banks will be able to provide you with a mortgage directly, with their services often divided into handling fees and advice. As there are laws against charging commission in the Netherlands, a mortgage broker will offer you services at set fees, with the amount you pay dependent upon your circumstances as a buyer. So, if you are self-employed the fees may be higher as borrowing and taxation rules are going to be more complicated for a broker to navigate. It is also law in the Netherlands that you will be required to hire a notary to perform the property registration process. The costs of this will vary, and may take the form of a percentage of the property price, a fixed fee or an hourly rate. The total cost is usually around €1,000 – €3,000. In cases where one or more of the parties is not a citizen and cannot speak Dutch you will need to consider hiring a ‘tolk’, or interpreter. Accredited translators can sometimes be difficult to find so make sure you book in advance. Translator fees are generally around €200 – €400. If you’re bringing in money from abroad, one of the best ways you can save money is to use a currency broker such as TorFX to help you transfer the funds to pay for your property. Using a currency broker means that you’ll have access to services that can save you a packet. With a broker like TorFX you will be able to use a forward contract to fix exchange rates for up to two years. This means that if you do not need to transfer the funds immediately, you will be able to protect your money from volatile exchange rates. Once you have purchased your property and are paying a mortgage you can take advantage of Regular Overseas Payments (ROPs) services to automate your mortgage payments. The difference between buying a house and buying an apartment is that while you own the apartment outright, you will only own a share/leasehold of the whole building and/or the land it stands on. This means buying an apartment can be more complex than buying a freehold property. One important thing to note when buying a flat is that each apartment building is managed by an owner’s association called a Vereniging van Eigenaren (VvE) or Property Ownsers’ Association. These are responsible for general maintenance and repairs and could be well or poorly run. There is also the possibility of them to go into debt, and as a member you will be responsible for your share of this debt. So, it is important to check into the status of the VvE before you purchase the property to avoid any unwanted problems. Furthermore, it’s also important to understand what you will pay per month to the VvE so there are no surprises. It is important that your pre-sale agreements (koopovereenkomst, koopakte) or provisional (voorlopige) contracts contain the essential information such as property details, liens and encumbrances. As well as this, it is vital that any contracts include an escape clause in case you cannot get a mortgage or if the technical inspection reveals hidden costs you may not have been aware of. You will also need to know whether any fixtures/fittings are included, and clear penalty or escape clauses if either party decides not to go through with the deal. Those are just a few quick tips for buying property in the Netherlands. Good luck on your search for the perfect Dutch home!